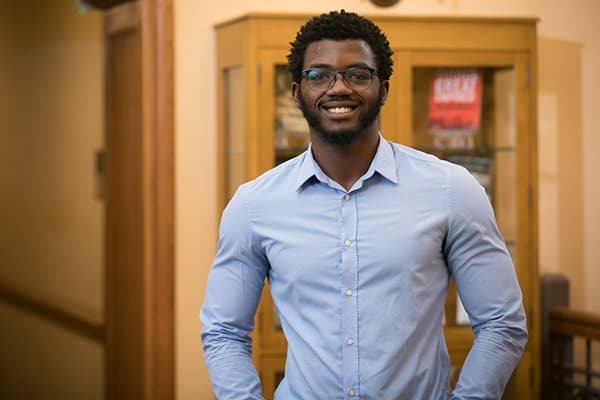 A recent graduate of the psychology department, Abram Alebiosu conducted research in the lab of Professor Melissa Ferguson and plans to pursue a career in mental health services for the disadvantaged Abram says, "I have seen the stigma that people have toward mental health and I have made it my life’s mission to change that. I want to increase the awareness of mental health services in hopes that it will no longer be a taboo to seek mental health help. Click here to read Abram's full profile, or browse the links below to explore the extraordinary journeys of our most recent graduates and see how their paths have prepared them not only for a successful and meaningful career, but also for a life well lived.